A shady character who is involved with Master Xehanort. He staged the Master's kidnapping to draw the darkness out of Terra, but he didn't come out of the plan without a few permanent "souvenirs". He is one of Ansem the Wise's apprentices. Braig showed up suddenly while Terra was following Master Xehanort in Radiant Garden. He said that he had captured Master Xehanort, but Terra found his claims ridiculous. Terra decided to see for himself if he was telling the truth and was shocked to find Master Xehanort chained to a large pole. Braig fought Terra while holding the Master hostage in order to claim Terra's Keyblade for himself. Braig had the upper hand at first, but Terra eventually defeated him with the power of darkness, scarring Braig's face and damaging his right eye. 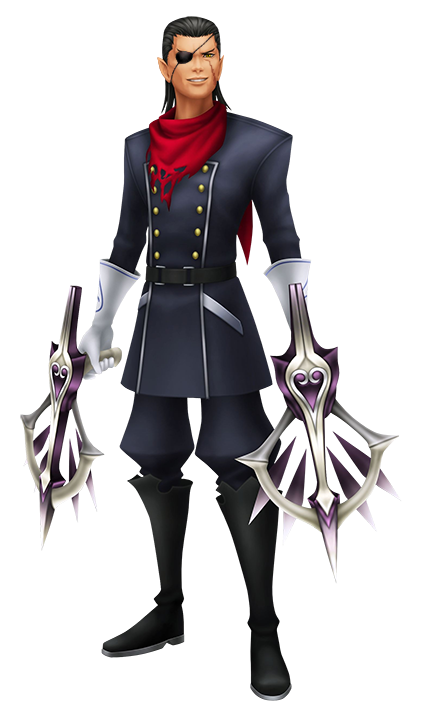 It is later revealed that Braig was acting under Master Xehanort's orders. He was initially furious because of the damage he had sustained from the previous battle (stating that it wasn't what he had signed up for). The old Master changed Braig's mind quickly with a Keyblade at his throat, ending all complaints. He appeared again at the Keyblade Graveyard, now having fallen into darkness as well, evident from the changes in his features. He attempted to turn Aqua and Ventus against Terra to kill him in order to avenge Master Eraqus's death. His plan backfired because the two refused to abandon their friend. Braig was quick to add more insults to their injuries, but Aqua battled him and subsequently defeated him. However, Braig made his escape, knowing his job was finished, and returns to Radiant Garden. Aqua was unable to stop him because she could not leave Ventus in his condition. Some time after the final battle against Master Xehanort, Braig brought Ansem the Wise and Dilan to a young man who was unconscious in one of the gardens. He knew that they were looking at Master Xehanort who had succeeded in acquiring Terra's body. Under Ansem's orders he carried the young man back to the castle, asking Dilan to bring the remnants of Aqua's armor and her Keyblade with them. Braig tried to talk with the new Xehanort, who was now another apprentice, when they were alone. He was disappointed to discover that Xehanort had truly lost his memories and did not recognize him. He even asked if the man in front of him was Terra, but the young man said nothing again. Feeling slightly reassured, he promised Xehanort that he had his back. 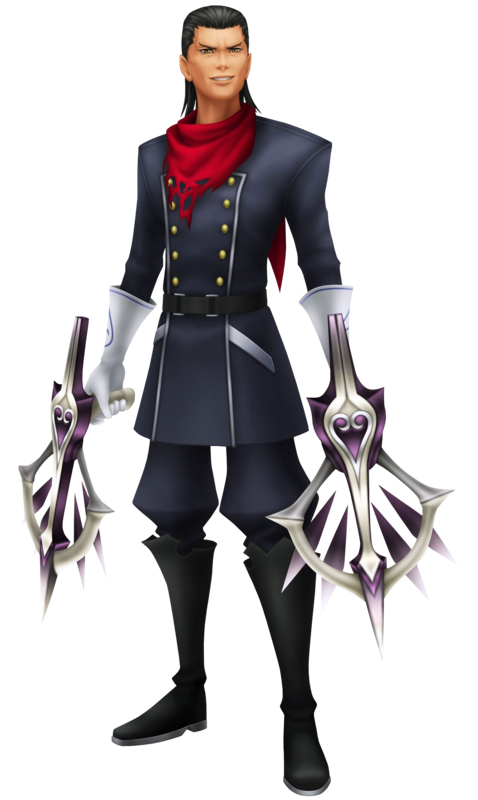 One of Ansem's six apprentices, Braig wields dual arrowguns that have the ability to join together to form a sniper rifle. Though less of a scholar and more of a guard, he does not hide his knowledge of the unusual and unexpected, very unlike the others of his status. He's got a big mouth to match those wits and shoots first, asks questions later. He has some involvement with that of Master Xehanort, and it is unknown how far his influence reaches in just this single man. Braig witnesses Xehanort stab Even and Ienzo in the computer room just outside of Ansem the Wise's study. Although he tries to reason with him and attempt to understand the other man's unstable condition, it is not long before he falls victim himself, staring at the Keyblade protruding from his chest before collapsing and losing custody of his heart.